You know it, but can you show it? Because if you can illustrate a meaningful transformation in a character, readers and audiences will be hooked. It’s what we go to stories for. Change (transformation) occurs through conflict. We’re creatures of habit; people really only change when they’re forced to, when it becomes more painful to stay the same than to do something differently. To create the conditions for change (conflict) in our stories, we usually need other characters. It’s very hard to sustain a Man. vs. Himself story for an entire movie. And in a Man vs. Nature story, often other characters will contribute to the conflict even if the main force of antagonism is Nature. 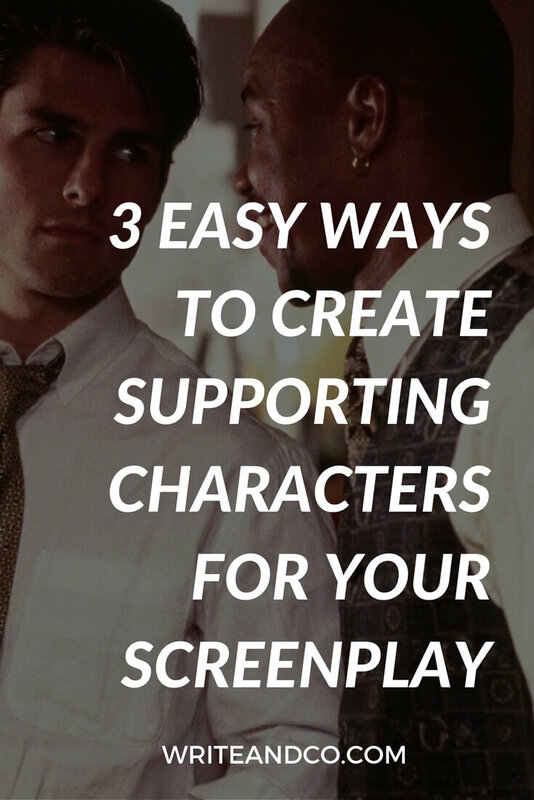 Supporting characters are all about the conflict they bring to the table. 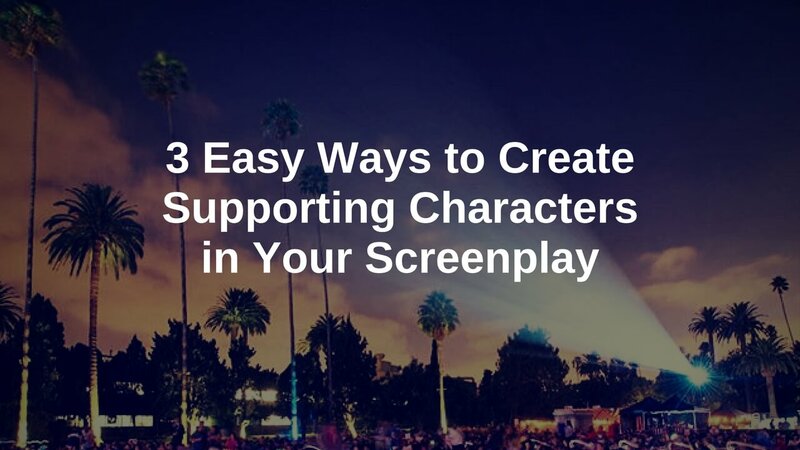 But… you don’t always want every supporting character in your screenplay to be physically at odds with your protagonist. It takes only a quick glance at your favorite movies to see that often the supporting characters challenge something internal to the main character. That challenge to the main character’s worldview, attitude, or belief then (if strong enough) causes an effect on the main character’s actions. How the challenge affects (changes) the main character reveals new facets of the main character. Change manifests externally but it starts internally. Even people with a common goal can have different approaches to achieving it. And an individual approach is informed by a person’s worldview. People act in line with how they believe the world works. Through the conflict created between opposing worldviews on the way to achieving a mutual goal (or the protagonist’s goal, which the supporting character, well, supports), the protagonist comes to accept a change in his or her worldview. Hell or High Water is a good example in this category. At the start of the movie, brothers Tanner (Ben Foster) and Toby (Chris Pine) have opposite worldviews. Tanner believes in fighting back, even when it’s not in your best interest. Toby believes in living with the hand you’re dealt. Over time, Tanner’s influence helps Toby to see that in a fight for survival, one lives and the other must die. And by the end of the movie Toby accepts that the only way of having a chance at survival is to be willing to fight to the death. Sometimes the change a character needs is to believe in his or her own abilities. But, as noted above, people (including story people) don’t like change. It’s uncomfortable. It’s scary. If we can avoid it, we will. We only change when we can’t get what we want without it. So even if a character knows a change will benefit them, resistance is still likely. In that case, a supporting character can be a key component in facilitating that transformation. The Silence of the Lambs is a great example, of course, because Hannibal Lecter (Anthony Hopkins) is anything but a warm-and-fuzzy cheerleader type of mentor to Clarice (Jodie Foster). But he captivates her curiosity, and through their relationship he challenges her secret fear that she’s not enough, that she’s fundamentally inadequate and won’t be able to save the victim. Lecter guides Clarice in solving the puzzle (Who is Buffalo Bill?) – but he doesn’t do it for her. He doesn’t give her the answers, even though he has them. This conflict (she wants him to give her the answers, he challenges her to figure them out) is what helps her change (and see that she is capable). Clarice is often frustrated by Lecter, but ultimately she has him to thank for the knowledge and tools she uses to eventually solve the mystery on her own. And sometimes we have to see exactly what we don’t want, in order to realize (and then go after) what we do want. But just being a cautionary tale doesn’t offer much conflict, does it? When you see this type of supporting character, often their display of what not to do interacts with the main character’s pursuit of the goal and causes conflict that way. For example, in Jaws we see early conflict from supporting character Mayor Vaughn (Murray Hamilton). After the initial shark attack, Mayor Vaughn refuses to acknowledge the danger. He interferes with Sheriff Brody (Roy Scheider) taking action to protect the residents. As a result, the shark claims more victims. The message? This is what happens when good men do nothing. The Mayor’s behavior shows Brody what kind of man he wants to be – one who takes responsibility, who takes action, who fulfills his duty. As the story continues, Brody sees just how difficult and treacherous a road it is, to live that change. But the alternative is failing the people who trust you to lead and protect them. His ideals of staying safe and avoiding conflict are sufficiently challenged, causing his external action. Another great example in this category is Ed (Nick Frost), the best friend character, in Shaun of the Dead. Ed shows us and Shaun (Simon Pegg) what Shaun’s future holds if he fails to make the transformation the story is asking of him. The aspirational model might feel similar in some ways to a “mentor”-type character that would fall into category #2. But there are key differences in the function, which is what we’re paying attention to. The aspirational model is someone who has what the main character wants. Whether they’re aware of it or not, the aspirational model sets the bar for the main character. And that’s the way they cause conflict: the high bar or distant finish line they set by example doesn’t allow the main character to settle or to take the easy way out. Further, the aspirational model often calls the main character out on his or her bullsh*t, when he/she makes excuses for falling short or wants to give up. A character in category #2 forces the main character to grow faith in his/her own abilities. An aspirational model character may not even know they’re influencing the main character, but their influence serves to propel the main character forward by showing them what they want and could have. In effect, it’s the opposite of a cautionary tale. An example in this category is Rod Tidwell (Cuba Gooding Jr.) in Jerry Maguire. His marriage sets the bar for Jerry (Tom Cruise). Over the course of the movie, Jerry’s relationship with Dorothy (Renee Zellweger) evolves from convenient to real, largely with Rod’s example as the ideal he’s striving for (whether he’d admit it or not). Rod even calls Jerry out when Jerry tries to fake it and resist the full transformation. You may have noticed in each of these examples the supporting character is directly connected to the theme of the movie. In every case, in one way or another, he’s helping the protagonist make a change that illustrates the theme. So when you’re looking at your own story, start there to find the purpose of the supporting characters. Through setting the high bar that the main character aspires to?